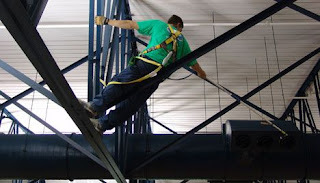 Our high reach cleaning services have met and exceeded our clients expectations for decades. We have the trained manpower and equipment in order to tackle the toughest high reach cleaning jobs. Our high reach cleaning company knows that our clients need high reach cleaning to be performed after hours in order to preserve the functionality of the building in many cases. In order to earn the high reach cleaning business of our clients, we happily provide the work after hours without increased rates.